"I work in the media for an internationally renowned broadcast corporation, so the appearance of my teeth is paramount. Thankfully Surrey Quays Dental Practice was able to help me out. I am delighted with the ultimate appearance of the crowns my dentist recommended and fitted. They look very natural and have been assimilated with no problem. Thanks to the time and effort the dentist spent ensuring the exact measurements, the crowns are even better than my original teeth. I have visited many dentist previously and had some really doubtful experiences so it is great to be reassured by the expertise of the team at Surrey Quays. A very friendly,considerate crew. Looking forward to having more work done soon." have let all my friends know. An all around great experience!" "Reception: Great, Dentist: Wonderful, Assistant: Lovely, 5 stars, you guys are great" ! "... I am very happy with the result - NHS treatment at it's best." 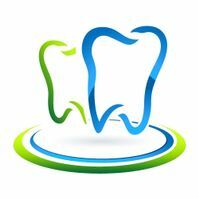 "The Dentist and Assistant welcomed me in a friendly and professional manner. The dentist made me feel very confident and overall, I feel, I have gained trust in dentistry again by 100%"
"The Staff are very friendly, make you feel at ease. The Dentist explains everything fully to the point of understanding. They try very hard to work around you and your needs. Best dental practice I've been to." "As much as one can love a dentist, I love this place! I have been seeing Dr Schmidt now only for 2 years or so, but would absolutely not switch dentist. I’ve even flown from different countries to see him! One of the best things about Dr Schmidt is his kindness. I’m a bit of a nervous patient, but he always finds a way to put me at ease. He’s realistic, honest and open about what’s going to happen or what outcomes could look like, but he really has a great way to relax you.I honestly wouldn’t ever go anywhere else, and plan to stay under Dr Schmitt’s care for a very long time. Trusting your dentist is so important, and I couldn’t trust him more. On top of this, scheduling appointments across time zones is a nightmare, but Tanya is always so helpful and responds to emails really promptly. She’s super helpful. Would absolutely recommend SQDP to anyone. I’m really glad that I managed to find this dental surgery - and dentist - as it’s made a huge different to how often I’d consider going to the dentist!" The dentist and team are second to none. From the moment you walk in you are greeted with a smile and warm and friendly atmosphere. I was really apprehensive about my treatment but the dentist talked me through the process and what to expect and it was exactly as I expected. My husband and daughters also use this practice and we have all felt at ease and reassured by the wonderful service received. Please do not delay in making an appointment. Your teeth will be very well taken care of." I found the practice on line last month and registered, they had great reviews and wanted to give it a go and see for myself if the reviews matches reality and am glad it is a truly excellent practice. I came for several fillings and my treatment was precise in terms of diagnose and session numbers to execute the treatment and above all painless! I have also registered my mother who has a complex gum problem and needed new dentures, again the level of the dentist Knowledge , competency and care is remarkable and we are very happy that we found an excellent dentist who was able to provide us with 100% excellent treatments. The practice is a precedent of what an excellent dental practice is; we had 360 great experience from first point of contact with the friendly reception staff member to the doctor and dental nurse who done the treatment. Top practice"
"Having spent my entire life dreading dentist appointments, Dr. Schmidt and his team left me wondering why -they make the appointments fun! I am looking forward to coming back and have let all my friends know. An all around great experience!" "I was treated with good care. My Dentist listened to me and explained procedure well. I feel the practice treated me as an individual and respected my fears. Thank you"
"Finally found a dentist I could trust! I have been seeing my dentist for dental treatment for several years now, and when they decided to open up their own surgery, I naturally followed, as I had finally found a dentist that I could trust! This dentist has gone above and beyond for all treatments that I have had at the surgery. It is a friendly practice, and I would strongly recommend it." how they put me at ease from the receptionist to my Dentist. They talk you through what needs to be done and what you can do to prevent problems in the future in a constructive and thoughtful way. Nothing seems to be too much trouble. My advise to anyone looking for a Dental Practice is look no further!" "Finally my wife and I have found a professional and caring dental practice. I can't stress more how important it is for my wife and I to have a dentist with their own practice that is going to be there for our future. After years of numerous dentist moving on to new practices. On the meeting with ethe dentist I was very impressed with their professional diagnosis of my problem. They explained to me in a clear and calming manner my treatment plan. They have since undertaken the work in which I can only explain was done to a very high standard . I find surgery has a warm and friendly atmosphere and the staff are polite and helpful. Cannot recommend this dentist more strongly." "Very good to have a friendly dental practice that is run professionally"
"Reception: Great, Dentist: Wonderful, Assistant: Lovely, 5 stars, you guys are great"